In the conference opening video of the 2015 Atrial Fibrillation Patient Conference, StopAfib.org Founder Mellanie True Hills provides an overview of the conference and the sponsors. Video watching time is approximately 6 minutes. Click the Conference Opening link below to watch the video. Learn about the next patient conference at Get in Rhythm. Stay in Rhythm.™ Atrial Fibrillation Patient Conference. Good morning. Welcome to the Get in Rhythm. Stay in Rhythm.™ Atrial Fibrillation Patient Conference. We’re thrilled to have you here today. We have so many of you who have come from so far away, in some cases, and those from our own backyard. We have folks from throughout the U.S., from Canada, from the Caribbean and even from the U.K. So we're thrilled to have you all here today. I'm Mellanie True Hills. I'm the founder and CEO of StopAfib.org and I'm also an atrial fibrillation patient and survivor. Once I was afib free from a procedure — a surgical procedure — I knew that I couldn't stand on the sidelines and watch everyone else suffer with this condition. 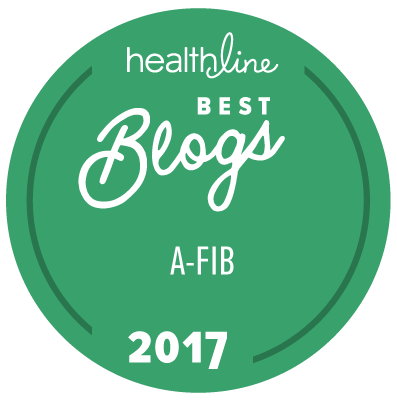 So, I started StopAfib.org to help those who were living with atrial fibrillation — not just patients, but family members as well — because it impacts everyone, not just the patient. As of today, I have been afib free for 9 ½ years. [applause] Thank you. And our goal today is to help you find ways to manage your afib and maybe even to be afib free as well. We want to help you Get in Rhythm and Stay in Rhythm. We have assembled an amazing group of speakers this morning, this afternoon, and tomorrow — world-class speakers in atrial fibrillation, some of the leaders that we see speak at medical conferences — and we brought them here to share with you what you can do to live better with afib, or potentially to get rid of it. I hope that you'll be able to take away information from this weekend to help you manage your afib, to have the emotional support that you need, and to understand what you can do to make things better. We have up here [on the screen] an overview of today's agenda. You also have a copy of it on page three in your program book. And it's going to be shown from time to time during the day so that you know and so that we will stay on track. Our next speaker will be Dr. John Day talking about an overview of afib. Then, Dr. Mintu Turakhia will talk about Treating Afib with Medications. At 10:00, we'll take a break, and then when we come back at 10:30, Dr. Turakhia will talk about Avoiding Afib Strokes. At 11:15, Dr. Rob Kowal and I will partner on a session about Partnering with Your Healthcare Providers. Then we'll have lunch at 12:00. It is provided — it will be just outside the doors. Then, in the afternoon, after lunch, at 1:00, Dr. Kowal will chair a panel on Catheter Ablation with Dr. Andrea Natale, Dr. Nassir Marrouche, and Dr. Sanjiv Narayan. Then, we will have a break from 3:00 to 3:30. Then, Dr. Jonathan Philpott will chair a Surgery Panel with Dr. Ralph Damiano. And at 5:00, we'll wrap up and should be done by about 5:15. Throughout your program book and on the back cover you will find information about the sponsors that have made today possible through their generous donations and sponsorships. We want to recognize them, and thank them as well. Our Gold sponsors are the Bristol-Myers Squibb Pfizer Partnership and Daiichi Sankyo. Our Silver sponsors are Boehringer Ingelheim, Janssen Pharmaceuticals, and Sanofi. Our Bronze sponsors are AtriCure, Boston Scientific, Medtronic, and Topera Abbott. Our Patron sponsor is AliveCor, and our Supporter is Afib Alert/Lohman Technologies. We have co-sponsors as well — the American College of Cardiology's Cardiosmart, the Heart Rhythm Society, and MyAFibExperience.org. Our official mineral water sponsor today is Gerolsteiner. So let's get started with our first presenter.